Peanuts grow in a very fascinating manner. They start out above the ground and due to its heavy weight the flower bends towards the ground. The flower eventually burrows itself underground, which is where the peanut actually matures. 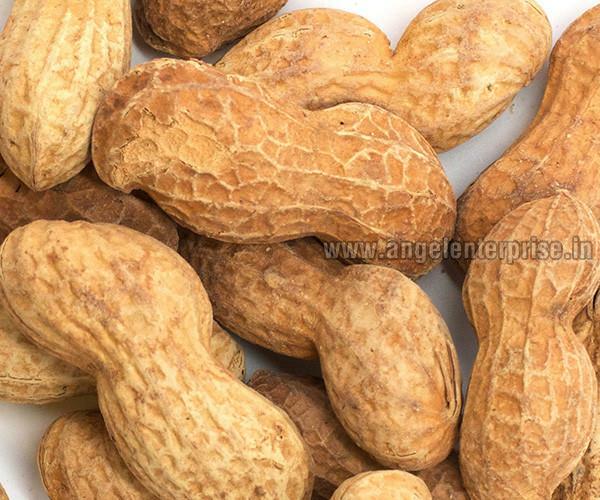 Peanuts can be eaten raw, used in recipes, made into oils, and peanut butter, as well as many other uses. Popular confections made from peanuts include salted peanuts, peanut butter sandwiches, peanut candy bars, peanut butter cookies, peanut brittle, and shelled nuts (plainroasted). Peanuts are often a major ingredient in mixed nuts because of their relative cost compared to almonds, cashews and walnuts. Peanut butter has been a traditional snack for school lunches, camping trips and at home due to its high protein content and the fact that it resists spoiling. It is rich in mono unsaturated fats that are beneficial to the heart. In addition, it contain vitamin e, niacin, folate, manganese and protein. They also rival fruits in their antioxidant content. Studies also show that the nutrients in peanuts help protect from strokes, alzheimer’s disease, colon cancer and gall bladder stones. We grow organic peanuts in al salhiya, which is irrigated using pivots, which improves water distribution to the fields ensuring a better product, where we can assure full traceability, bright pod color and alfatoxin control.